If you have any questions about the VERA information page below please contact us. This motor yacht VERA is a superyacht of well sized proportions. This 38 metre (125 ft) luxury yacht was built at Cantieri Di Pisa in 1996. VERA used to be named the project or yacht name Multiple. 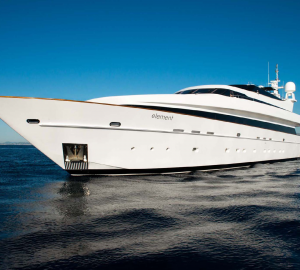 Superyacht VERA is a sumptuous yacht that can accommodate as many as 8 guests on board and has approximately 7 crew. The naval architecture office whom authored her drawings for the yacht is Cantieri Di Pisa. Agnes Comar was also responsible for her interior design. The yacht's wider design collaboration came from Cantieri Di Pisa. The professional naval architecture plans are the creation of Cantieri Di Pisa Yacht Design. Motor Yacht VERA received her stylish interior designing from the interior design skills of Agnes Comar. Italy is the country that Cantieri Di Pisa built their new build motor yacht in. After her official launch in 1996 in Pisa she was thereafter released to the proud new owner after sea trials. A moderate feeling is manifested with a maximum beam (width) of 7.5 metres / 24.61 ft. With a 1.85m (6ft) draught (maximum depth) she is fairly shallow. The material composite was used in the building of the hull of the motor yacht. Her superstructure over the hull is built out of composite. This ship utilises two ample DEUTZ-MWM main engine(s) and can find a exhilarant maximum speed of 31 knots. The main engine of the ship gives 3046 horse power (or 2241 kilowatts). Her total HP is 6092 HP and her total Kilowatts are 4483. She is driven by twin screw propellers. This yacht’s convienient cruising speed is 27 knots which gives a range of 750. Apportioning cabins for a limit of 8 visiting passengers spending the night, the VERA accommodates everyone in luxury. Normally the vessel requires approx 7 proficient crew to operate. Approximate Cruise Speed is 27 nautical miles per hour. Her top Speed is around 31 knots. Range in nautical Miles is 750 at a speed of 27 knots. 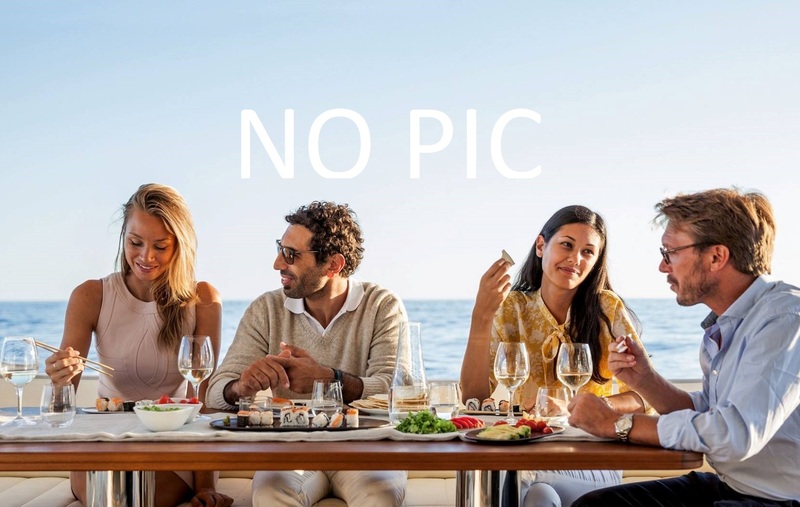 The luxury yacht VERA displayed on this page is merely informational and she is not necessarily available for yacht charter or for sale, nor is she represented or marketed in anyway by CharterWorld. This web page and the superyacht information contained herein is not contractual. All yacht specifications and informations are displayed in good faith but CharterWorld does not warrant or assume any legal liability or responsibility for the current accuracy, completeness, validity, or usefulness of any superyacht information and/or images displayed. All boat information is subject to change without prior notice and may not be current.